Helping your body to detoxify itself adequately is crucial, especially in world where we are bombarded with toxins from almost every angle every single day of our lives. Eating the best foods to detoxify the body will help keep your organs in a process of optimum detoxification: keeping your skin clear, your mind sharp, and your immune system firing on all cylinders. The body is an amazing thing, and is busy detoxifying our system day and night, 24/7, every day of our lives. It never stops being as busy as a bee; filtering and expelling the harmful toxins, chemicals, parabens, fertilizers, and heavy metals that are continuously entering our bodies due to exposure to modern life. Where do all these toxins come from? 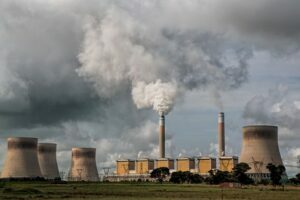 People who live in big cities are exposed to car exhaust fumes and industrial chemicals; or if you live in the country you may be exposed to fertilizers and pesticides from neighbouring farms. 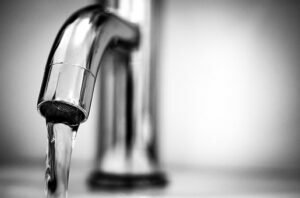 The water you drink has been treated with chemicals to make it ‘safer’ for human consumption, and the standard diet is filled with chemical additives, preservatives, trans-fats, refined sugars, and pesticides. Toxins seep through your skin and into your bloodstream! And it doesn’t end there unfortunately, as pretty much everything you use on your body, including shampoos, soaps, perfumes, toothpastes, creams, and make up, are all filled with harsh chemicals, parabens, and other toxic nasties that end up in you body. Yes, they eventually make their way into your system, disrupting hormones and doing all sorts of damage as they go. Then there is the home itself which has been cleaned with yet another host of chemicals, such as bleaches, or other highly toxic products. On top of that we may spray our air with yet more synthetic chemicals in the form of air fresheners, which are actually designed to be directly breathed straight into the body. Honestly, it’s moronic, and we don’t even think twice about it. Now you can see where all these chemicals are coming from, you can probably see the scale of the problem and work on finding solutions. It’s little wonder most of us feel tired, completely under par, and lacking in energy when our body is battling to detoxify itself from what would otherwise be a deadly chemical assault. We weren’t designed to deal with the environment we now find ourselves in, that’s just a fact that shows in many of us. We are plagued by lack of energy, dull and listless skin, mental illnesses, and a whole array of modern day diseases, therefore we are obviously LOSING this battle. That is why it is vital you take steps today in giving your detoxification system a helping hand and not rely solely on your over burdened body to do all the graft. You can do this by adding the foods on the list below into your diet, along with a diet high in other antioxidant rich foods and also plenty of exercise that makes you sweat. This way you will be at least sweating out some of these toxins too! It’s true the body is designed to detoxify itself, but it can only do this to a certain extent, and then toxic overload may take hold and cause the immune system to start breaking down. This as you can imagine, can cause all sorts of problems in the long term. The liver produces enzymes that destroy toxins in the body, and these are then expelled through the urine or bile. If the liver gets overloaded then it slows down, causing toxins to accumulate in your blood, which can have deadly consequences. This makes your liver a life saving and VITAL organ that needs to be looked after. Luckily, the liver is hardy and can bounce back from a certain amount of damage, but not if it gets pushed too far – it does have its limits! The kidneys are two small organs that are shaped like beans and are located just below the rib cage. Every day they filter the toxins from between 120-150 quarts of blood, of which are then diverted to the bladder where they are expelled as urine. They are a crucial part of your detoxification system; however you can live a normal life with just one, hence the reason why you can donate a kidney to somebody in need. 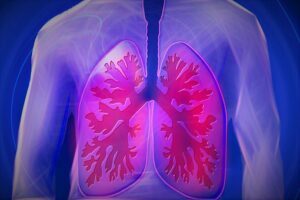 The lungs help you to detoxify from the toxins that are in the air you breath, and with every outward breath you take you are dispelling those toxins. To enhance this effect you should always breath deeply and properly to maximize the cleansing potential – just probably best not to do this in a highly polluted place, for obvious reasons. Make sure you breathe all the way into the bottom of your lungs; most people don’t do this which means they only ever use two thirds of their lung capacity. This is even more so the case in non exercisers as they never really get huffing and puffing through exertion. 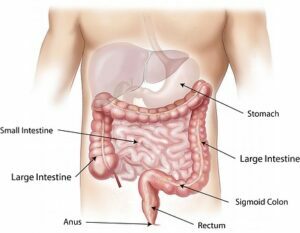 Digested foods pass through the intestines, which is the place in your body where the nutrients from the food you eat are absorbed. The intestines keep your bacteria in balance, and break down toxins by producing their own natural antibiotics. 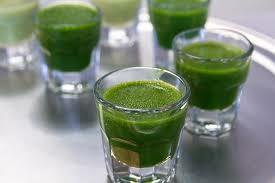 They are a very important part of the body’s detoxification process. As part of the immune system, the lymph is full of white blood cells; these white blood cells take toxins and transport them to the lymph nodes where they end up being destroyed before they can do any damage in the body. The lymphatic system is another amazing and highly crucial part of our detoxification system. As your biggest detoxification organ, the skin is covered in tiny sweat glands that not only regulate body temperature, but also expel toxins through sweat. When you exercise hard you encourage the drawing out of the deeper layers of toxins through your sweat, more so than any other method of sweating such as heat, saunas, steam rooms etc. Toxins can make you FAT! All of these organs do their best but the fact is your body can’t always break down and expel these toxins, and so they get stored in your fat tissue. Tissue that will keep replicating itself as space gets used up, causing weight gain and obesity: doing this is the body’s way of storing away safely the substances that it cannot break down and expel in the normal manner. Storing toxins in fat cells seems to work fine for a while, but eventually these substances will find their way into the bloodstream and invade organs such as the liver, heart, brain, stomach and reproductive system. Particularly toxic to the brain cells are heavy metals: these can cause all sorts of problems to the memory, plus they can also be the cause of brain ageing and headaches – even migraines. WHAT ARE THE BEST FOODS TO DETOXIFY THE BODY? 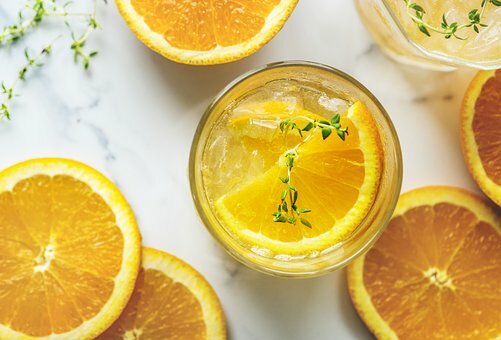 Rather than going on a very limiting, and sometimes dangerous detoxification plan (especially if not done under a professional), you should just try adding as many of these detoxification foods as possible to your every day diet as they will help support your body’s natural detoxification processes. Apples are are great detox food because they contain a whole heap of vitamins, minerals, phytochemicals, terpenoids and flavonoids. 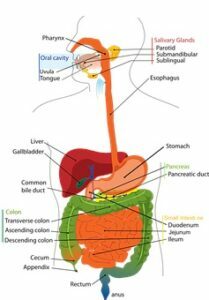 One particular flavonoid called phlorizidin helps stimulate bile production, and one of the ways the body rids itself of toxin is through the bile. 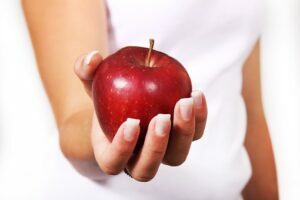 The soluble fiber in apples is called pectin, and this can help eliminate food additives and metals out of the bloodstream. Organic apples are best for detoxification purpose, as conventional ones are usually highly pesticided and therefore defeat the object. Being highly alkaline, lemons stimulate the release of enzymes and convert toxins into water soluble substances which can then easily be expelled from the body. They are also high in vitamin C so therefore stimulate the production of glutathione – which is the main antioxidant the liver uses during detoxification. Lemons are also one of the main detox foods for skin, and a cleansing foods for weight loss. Drinking lemon juice in warm water helps to keep your metabolism stoked and in fat burning mode, and it will also cleanse your system to help give you clear, glowing skin. 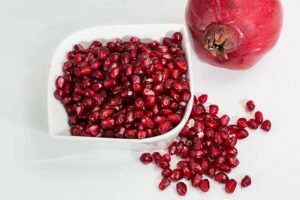 Pomegranates with their very high content of healing antioxidants, vitamins, minerals, potassium, folate and many other phytochemicals, will boost the immune system and help support the detoxification process overall. If eaten with their seeds then the effects will be further enhanced, as the seeds will act as roughage and literally drag impurities out of the digestive tract. Pomegranates have SO many more benefits than just detoxification that they deserve their own post. Please read these other 16 pomegranate facts and be blown away by just what this fruit can do for you. This great detoxifcation booster comes from the seeds of the plantago ovata plant. It is high in soluble fiber AND a colon cleanser which means it will literally drag impurities out of your system. It’s very important when using psyllium husk to make sure you drink at least 8oz of water with it as it will swell up, which can then cause blockages in the digestive tract. You can use up to 1 tbsp 3 times daily as a method of detoxification, or just once in the morning like I do as part of my everyday diet to keep things under control. 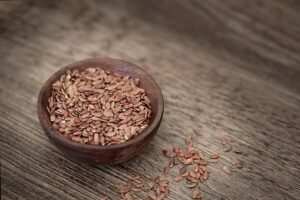 Also known as flax seeds, linseeds act in a similar fashion to psyllium husk (although I wouldn’t recommend using both on the same days). They are rich in omega 3 fatty acids, which also have the added benefits of regulating blood pressure, lowering cholesterol, balancing blood sugar, helping with anxiety and depression, and may also reduce the risk factor for some cancers – including breast, colon, lung, and prostate. Or cilantro as it’s otherwise known, is one of the great detoxifying foods for the liver and is choc full of vitamins A and K. Just nine sprigs will not only boost your brain and memory power, but will provide 27% of your recommended vitamin A and 52% of your vitamin K (which is also great for bone health). When it comes to detoxing, coriander is first rate at assisting the body to eliminate itself of heavy metals. Studies show that during a coriander cleanse participants had a significant increase of aluminium, mercury, and lead in their urine – proving that their bodies were eliminating these toxins at an accelerated rate. 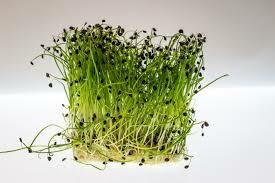 Broccoli sprouts contain twenty times more sulphorphane than ordinary broccoli, and help the liver detoxify from environmental pollutants in particular. They also have the added benefits of helping to prevent hypertension, osteoarthritis, some cancers, heart disease, allergies, and diabetes. More of natures true superfoods these two are great detoxifiers of heavy metals in the body. Detoxifying the body will also kick start your weight loss as toxins are stored in fat cells which need to keep replicating, and the more they replicate, the bigger you grow! These fresh water algae are also one of the highest sources of plant proteins and boast good amounts of vitamin A, magnesium, calcium and iron, and are also anti diabetic. Chlorella in particular can help ease the symptoms associated with fibromyalgia. This is a wonderful detox food because it contains up to 20 times more minerals than other vegetables. The align found in seaweed is able to absorb toxins directly from the digestive tract. Kelp (a species of seaweed) is higher still in align than other seaweeds and not only helps to detoxify heavy metals, but also has the amazing powers of helping the body to detoxify from radiation exposure. 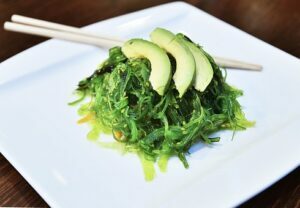 Green seaweed is high in chlorophyll, which is an amazing detoxifier as it contains fibers that bind to and then eliminate toxic substances, which in turn helps the liver do its job more efficiently. This particular super food powder contains an array of highly nutritious organic green foods that help to detoxify your body. It has a blend of spirulina, blue green algae, spinach, seaweeds, and lots of other nutrient dense fruit and vegetable extracts. This stuff is also POTENT in antioxidants, phytochemicals, vitamins, and minerals. It is personally, one of the most powerful green powders I have come across and tested, and you can literally feel it working within 15 minutes. Expect a boost of energy and a glowing complexion, especially with regular consumption. This is the one one supplement that I take every day for energy, antioxidants, glowing skin, and immune health, and I seriously wouldn’t and couldn’t live without it. Not now I know! Along with eating in abundance all of these above foods, you will also need to make sure you minimise ALL junk foods and added sugars; and eat a wholesome and healthy diet of mainly fruits, vegetables, nuts, seeds, pulses, and wholegrains. 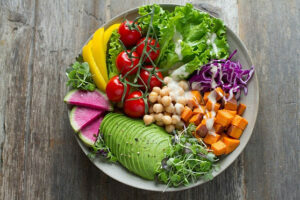 If the foundation of your diet is plant based eating then you will keep your body alkaline, and in the desirable state of high detoxification – due mainly to all the antioxidants and nutrients found in most plant foods. Physical exercise is another must in the toxin elimination process. This really can’t be stressed enough, because sweating through exercise causes the body to start shifting all those nasty deep seated toxins that are stored in your fat cells. This in itself is a crucial part of helping your body to detoxify. Try and aim for at least 3 x 40 minute sessions of good cardiovascular/weight bearing exercise a week, and make sure that you SWEAT! If you need inspiration on how to incorporate more exercise into your life then you may want to check out this post ‘The Importance of Physical Exercise’, where you will find the easiest ways to get more active no matter how much or little time you have, AND on any budget. Important:- If you have knowingly been exposed to heavy metals that you need to detoxify from then you should always work with a trained professional before embarking on a detox program. Removing metals from your body too quickly, or using the wrong substances, could be detrimental to health. Here’s a quick HITT workout to help you see just how easily you can do a health boosting workout in a very short amount of time at home, and with no cash layout; so NO excuses! If you have anything to ask me about detoxification then I would be happy to help. Just post in the comments thread below this article and I will respond ASAP. Thank you, and happy detoxing! Hi there, this is great article summarising the problems we face in poisoning our body, and most of it we can do little to prevent. You also provided a wide range of solutions. I think most people should be able to choose at least 3 from the list you give. For me on my list that I currently eat regularly are: apples, broccoli and seaweed with an occasional pomegranate when it is in season here in China. The rest I probably can’t get hold of here in China. I would like to add 3 more to your list: goji berries (wolf berries) these detox the liver and kidneys and are a great anti-oxidant. I eat these daily. Similar to that are blue berries. Finally there is the good old tomato. Great information Stefanie, but I feel like I am sort of screwed. I am always tired and suffer from anxiety.I like my alcohol and I have lung troubles and a sensitive stomach, so that is 3 of the detoxification systems you mentioned . O yea I don’t care for fruit and vegetables. So would a bought detox system be an okay alternative? Sorry to hear you have all those problems, must be hard for you then. Yes you could definitely consider a detox system, just make sure it contains some good detoxification herbs like dandilion root, milk thistle or artichoke. You could use something like this while drinking lots of lemon water to flush everything through and just stay away from refined sugars and unhealthy fats. If you did this, even for 3 days (but more if possible), you would feel a massive difference and your immune system will be boosted. It goes without saying that you can’t drink alcohol while detoxing unfortunately (sorry). Thank you for this article. It is a great summary and I am going to use the list as a constant reference for foods to take. Among the items in the list, I am taking apples and lemons more regularly. I used to take seaweed more often when I was living in South Korea. The Koreans eat a lot of seaweed and seaweed soup is prepared as a special dish for birthdays. Hi Jude, yes, seaweed is fantastic for health. I honestly feel so much better when I am taking any form of seaweed or algae, it’s probably my number one health tip. It’s good you are incorporating detox foods into your diet every day as it is vital to give the body a hand with this process, especially in the environment we are living in today. Believe it or not, I have just written an article on foods that have the ability to detox the body naturally, in particular, the liver. These simple foods that don’t cost much can really have a great impact on our health, it is good to give our bodies a detox or as I said in my article a spring cleaning that is so beneficial to our help. Thanks for this awesome post. Great website with some truth in it. The foods we eat these days are killing us. I really like the information you have on here, it goes right with my article on health. I like that you’ve got the health benefits of these foods. Hi Fred, I’m glad you like it. I see you have a website on health also which is great, I like to meet like minded people. Food really is so important for good health and it’s great to have a platform such as a website to get the information out there to people. Great post Stefanie and thanks for sharing. It so good to hear that most of the foods on your list are in my daily regment. I’ve sprouted broccoli sprouts twice now. I’ve heard they are amazing for you health from Rhonda Patrick. They just don’t keep long and have a pungent taste towards the end of their life cycle. I also read that bouncing on a trampoline is a great way to detox your lymphatic system. Have you ever heard of this? Hi Vince, yes, I’ve heard of sprouting before, and you can do it with all kinds of things. I’ve tried sprouting sunflower seeds, buckwheat, and mung beans so far with great success. But they don’t keep too long either, so I just use them up quickly, or alternatively you could make some kind of crackers out of them and dry them in a dehydrator or low heat oven. This works with sprouted sunflower and buckwheat, but I haven’t tried it with sprouted broccol. As for trampolining, I have heard of this before but don’t know much about it. I can only imagine it would be true as my sister has one of those vibtmrating exercise plates and this is meant to be fantastic for lymphatic drainage. And trampolining would work on the same principle. What a superb article about detoxification of body. We usually eat junks and other harmful foods I must say, If we follow the advice you have mentioned in this article, we will have a healthy body from inside out. As always, really important and easy tips from you that even busy mothers and busy working people can follow. Thank you so much for sharing this useful info with all of us. Great work, keep it up. Thanks Sarah, yes I aim to try and make my posts easy to follow for everybody as I know how busy most people are in their lives and the last thing they want to do is spend too much time thinking about food, especially busy mothers like yourself. Many people don’t know where to start when changing their diet due to being stuck in old unhealthy ways and habits, and that’s something I simply love to help people with through my website. Hey Stefanie! Really well written and informative article here. A lot of this I can’t even pronounce let alone heard of be for. But its definitley a great list to get started on better eating habits. I hate cilantro is so good for you bc I can’t stand how strong fresh cilantro is. But I’m about to try the lemon juice and warm water to try and kick my energy drink habit. Excellent post Stefanie, and very thorough! I’m going to give the Dr. Schulze’s superfood powder a go! Hi Andrea, thanks, and I hope you enjoy. You definitely won’t regret it! Wow, this top 10 list of best foods to detoxify the body is awesome, I love the way you have shown all your separate tip and each of the systems. I have not been kind to my needs in the past 12 months and the doctor has been in my case to shape up and get myself sorted, your food tips are really good and I must try a few of few, which ones works best in your opinion – say the top 3 for a middle aged man? Hi Micheal, I’m glad you have decided to eat a little better as usually when you get to middle age it really is time to start watching what goes into your body if you want to stay fit and well into old age. My best tips for you would be to eat every day something for your digestive health such as the flax seeds OR psyllium husks which you can add to your breakfast or juice. Also, you may want to eat some kind of fermented foods such as live yogurt, or sauerkraut to keep your good bacteria up as this can become compromised as you age. Also, I would definitely eat lots of fruits and vegetables in general, maybe even take some green super food powders like those suggested in the post to be sure you are really getting all the nutrients you need. Awesome article so much info I will be trying to incorporate more of these things into my life daily. Lemons, apples, cilantro, kiwi, greens those I already do. But, you gave many more so will check it out . Thanks for the great article. Hi Scarlett, wow, you are already eating lots of detox foods so you must be pretty detoxified already! However, I always think there’s room for more, and it’s also a good idea to mix them up a bit to keep things fresh. Hi Stefanie, I think you’ve got a lot of great points here about detoxification. There are so many elements out there that are not good for our bodies. I like the foods on your list for detox. A lot of them I do eat, and a few I don’t but will certainly look into now. I do write articles on my website for lowering blood sugars and about detoxing as well. I learned from reading your material. Thank you so much! Hi Rob, I’m glad you have got some good information from my website. A lot of my posts are probably quite relevant to you as they are often about keeping blood sugar under control. This really is at the heart of all good health I believe and so very relevant. If you are a diabetic then these foods will definitely help you with that also! It’s so good to know that I do consume a lot of the foods you have listed. I need to start adding flax seeds to my shakes in the morning to make sure I am really taking care of my body. I want to look into Dr Schulze’s superfood powder. It looks like it would be a great addition to my morning shake. Hi Kahlua, that’s great you already eat lots of these detox foods. Most of them are actually quite nice hey? Adding flax to your smoothie would be a great addition, I just wouldn’t add more than a teaspoon if you don’t want it to go too thick and gloopy ha ha. As for the Dr. Schulze’s superfood, I can’t say that it tastes amazing because it doesn’t, but it’s not that bad, especially if you down it fast with some juice or water. Personally, I’ve totally got used to it now, and I’m sure you would too after a while… you will feel so good using it that you probably won’t mind too much anyway. really great information about detoxing. I just wanted to get some input about power foods, but your article is more than the lowlevel stuff others share. I love being informed about the background and the solutions. Reading was fun, informative and so “kurzweilig” (diverting). Hi Veit, thank you for enjoying the article, and thanks for the compliment. I do try to tell the whole story in my posts so people understand just how important it is to keep the body in a high state of health. If you really know the truth about how food affects the mechanics of your body then your much more likely to want to look after it.